If you don’t have a mixer, or are befuddled by the hands-on technique, or maybe you plain just can’t knead full-stop (for whatever reason that may be), you’ll be glad to know that Eve discovered a recipe for bread that involves ZERO kneading effort at all – but still manages to produce a very fine loaf indeed. 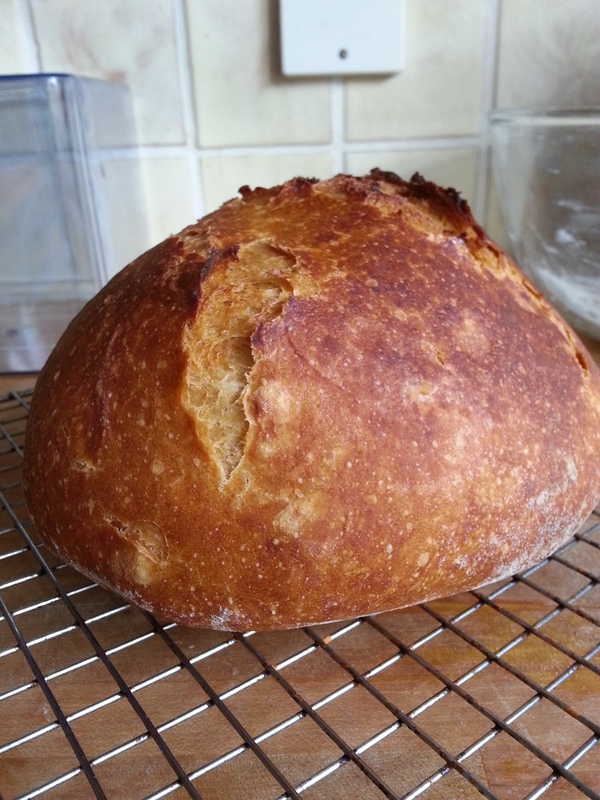 It’s a good, solid, nourishing loaf that puts airy-fairy, crappy supermarket bread to shame. 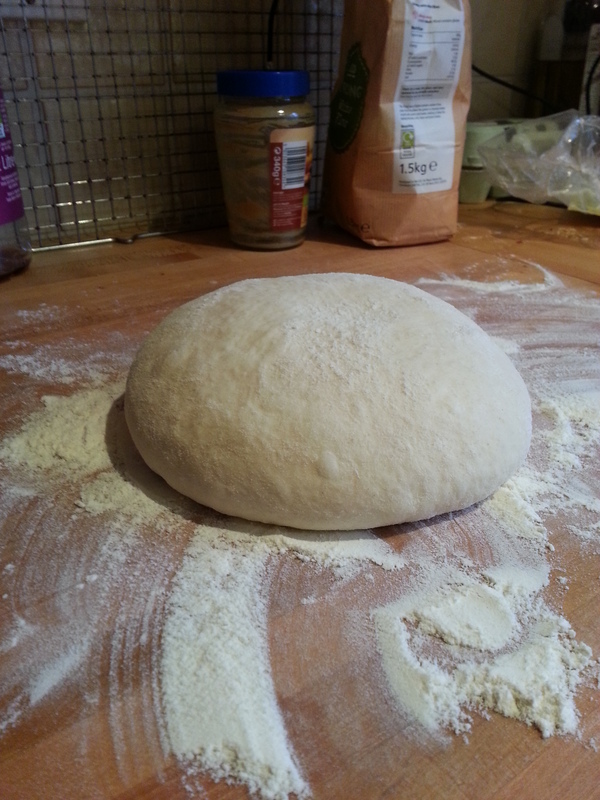 4) Now flour your work-surface with a fair dusting of flour – this dough can be quite damp. 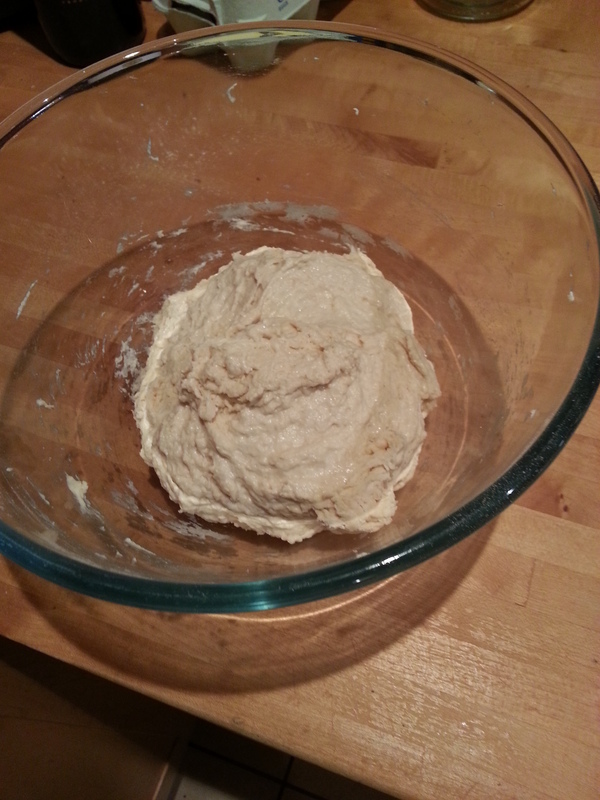 Tip the dough out of the bowl and onto the floured surface. 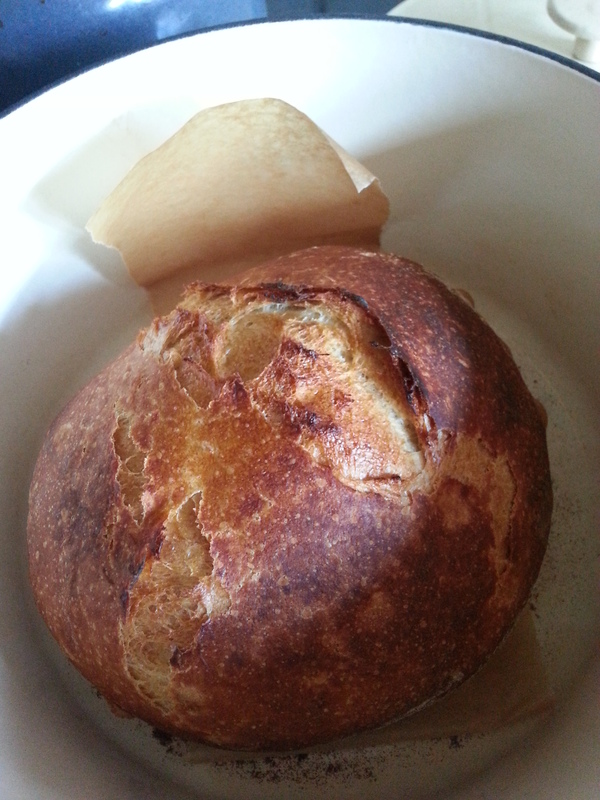 Work the dough by gently pulling the edges out and folding them back over onto the dough ball. You only need to do this a couple of few times. 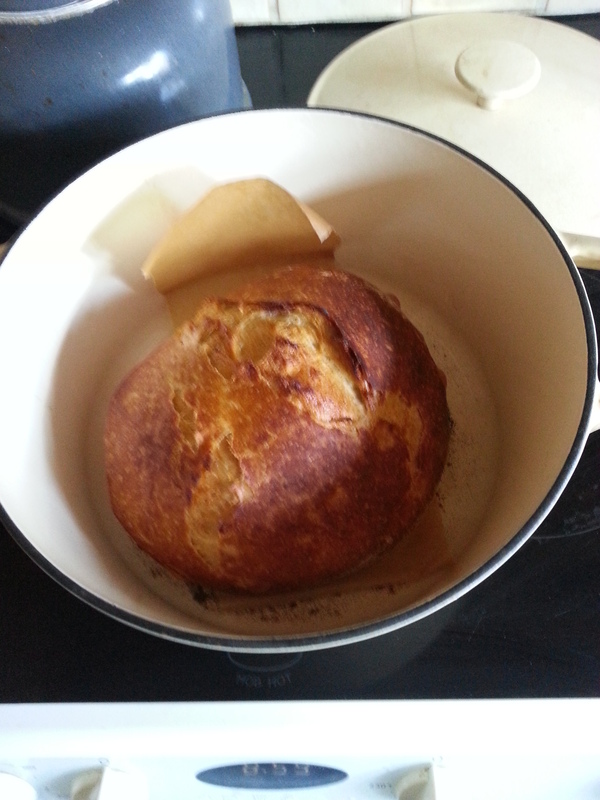 7) Put the casserole dish back into the oven and set your timer to bake your bread for 30 mins. Leave it alone to cook. Don’t be tempted to peek. Just let it do it’s thing. 8) After 30 mins, remove the lid of the casserole dish and put the uncovered loaf back into the oven for another 15 mins so that it will brown nicely. 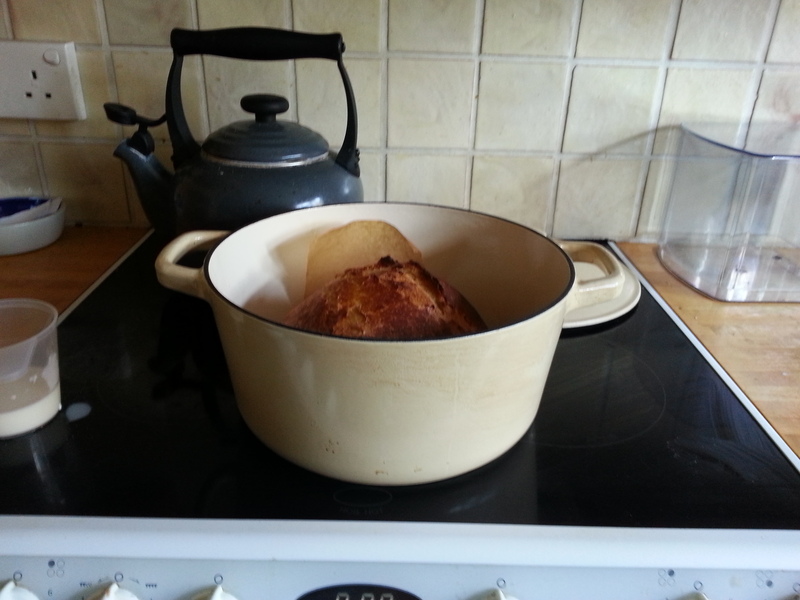 9) When the 15 mins have passed, remove the loaf from the casserole dish and leave to cool on a wire rack.